Before tattooing Mike Welchman worked in the Animation and film Industry and Studied Drawing and Design all across Canada and the US. Mike Specializes in bold folk inspired American traditional Tattoos and always keeps a selection of up for grabs designs and flash on hand. 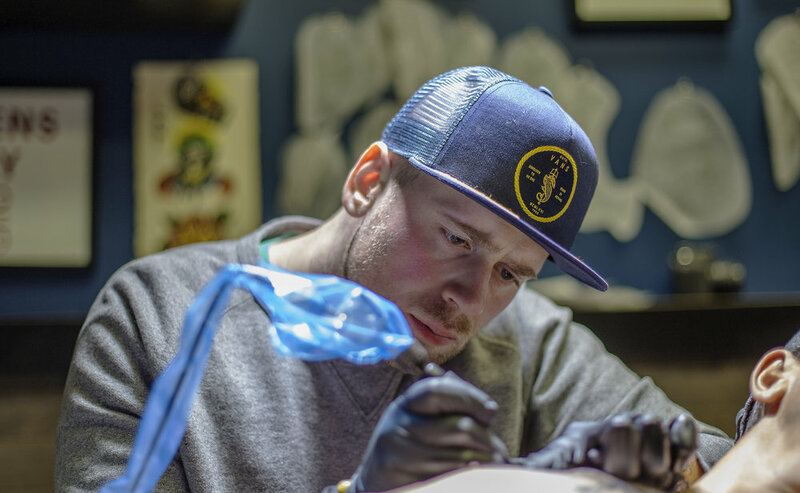 Although his specialty is American traditional he always is up for a challenge and welcomes all kinds of projects. Feel free to stop by the shop and flip through his flash and say hello! The best way to reach Mike is by email at welchmantattoo@gmail.com or fill out the form below.